The new location will service the “Crēdo on Demand” rental program, including new pallet accepting device, Crēdo Cargo, officials said. Pelican BioThermal, a company offering a range of thermally protected, temperature controlled packaging and service solutions to the life sciences industry, announced the upcoming opening of its first service center in Puerto Rico on Aug. 24 in Caguas. The new facility will serve as additional depots for the company’s “Crēdo on Demand” rental program, which now offers the Crēdo Cargo, Pelican BioThermal’s newest reusable bulk shipper. “We expect those looking to transport bulk shipments for the pharmaceutical manufacturing and life sciences industries to find benefits in both our new service center and the addition of Crēdo Cargo to Crēdo on Demand,” said David Williams, president of Pelican BioThermal. “Those facing challenging shipping lanes will now be able to access a reliable and reusable option at a key pharmaceutical manufacturing and transfer hub,” he said. The new facilities in Puerto Rico will also be part of an expanding number of worldwide service centers providing options for Pelican BioThermal’s “Crēdo on Demand” program, including conditioning and end of rental drop-off. The rental service offers daily, monthly and other rental terms, including qualification reports and clean, freshly-refurbished Crēdo Cargo or Crēdo™ Xtreme shippers. 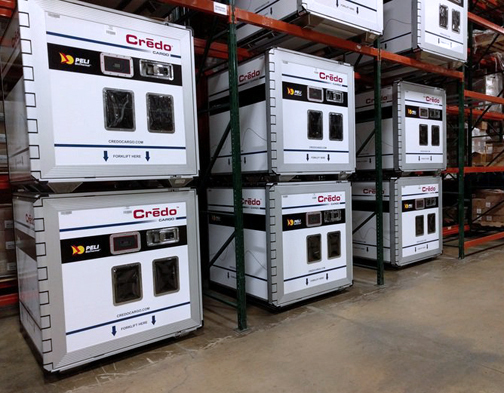 In addition to serving as depots for the company’s “Crēdo on Demand” rental program, the new Puerto Rico service center will enable global Pelican BioThermal clients to receive and return reusable temperature controlled packaging systems. Hey Buddy!, I found this information for you: "Pelican BioThermal opens PR service center on Aug. 24". Here is the website link: https://newsismybusiness.com/pelican-biothermal-service/. Thank you.